This apartment consists of 2 rooms and is on the first floor of the guesthouse. It measures 42 qm. You can enjoy your breakfast on the south facing balcony with a magnifi-cent view over the surrounding meadows and woods. 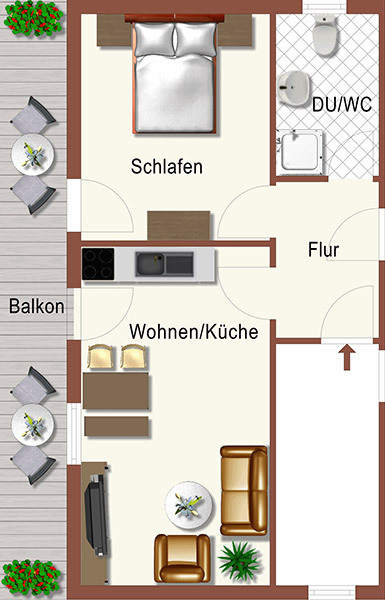 The apartment Blumenwiese can be joined with the flat "Bergwiese" to form a larger unit under the name of "Kandelblick", which sleeps a maximum of 6 people.